If you know me at all, you know I make a habit of taking a lot of photos of a lot of random things. Since getting an iPhone I rarely carry my camera, but I still photograph that and this whenever I can. 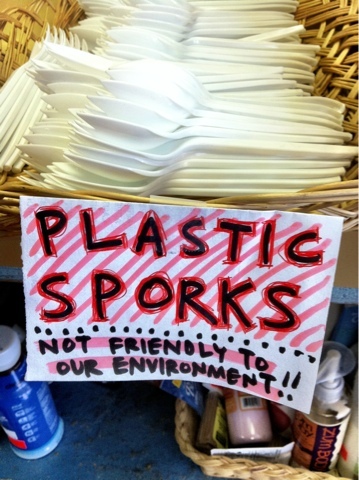 - one of the handmade signs you might find at Food Fantasies. Dogfood is, by far, our best sign maker. 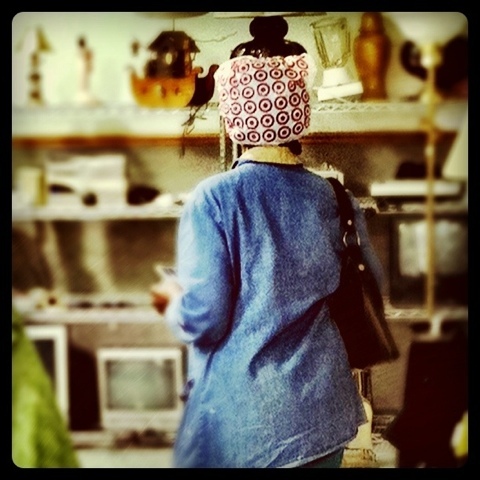 - a creative lady I spied at Goodwill. I will steal this idea the next time I find myself in a convertible. 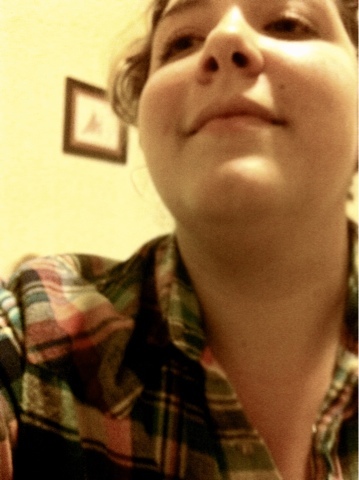 - Hannah, while she was pinning up my hair; she can Victory Roll like nobody's business. 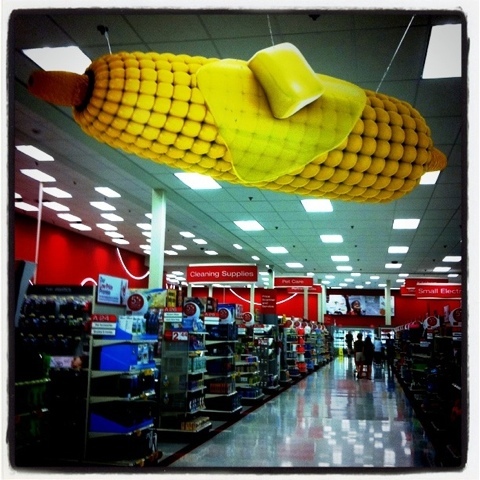 - a sign advertising a giant ear of buttery corn, hanging in Target. 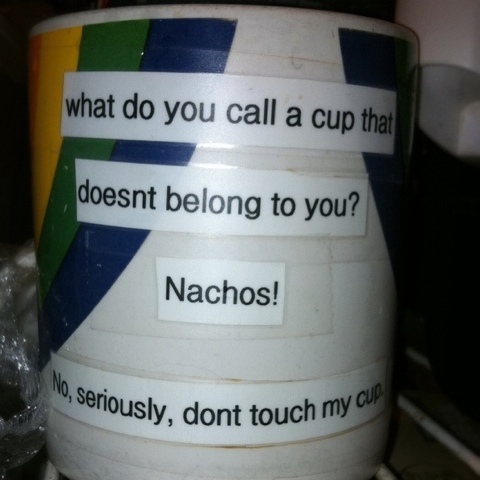 I'm not really sure where they were going with this. 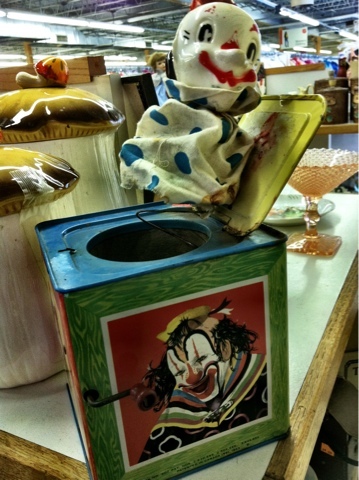 - scary clowns have no business at The Salvation Army, even if they reside within a vintage in-a-box crank toy. 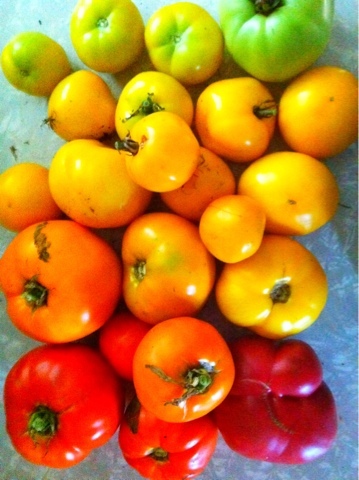 - heirloom tomatoes from my garden: black krim, taxi, orange blossom, pineapple, and another variety but its name is escaping me at the moment. - my first self-portrait taken with my iPhone. 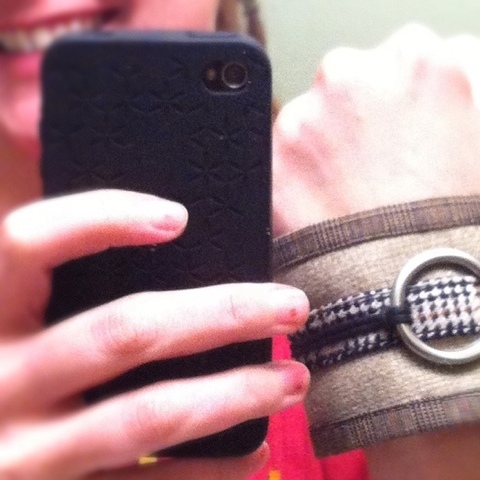 I love that cuff, it's made from pieces of suits! 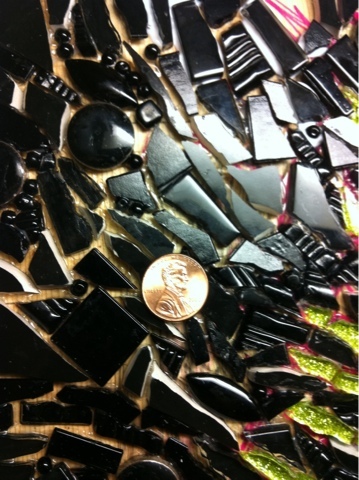 - a close-up of the peacock mosaic while it was under construction; the penny is merely for perspective.